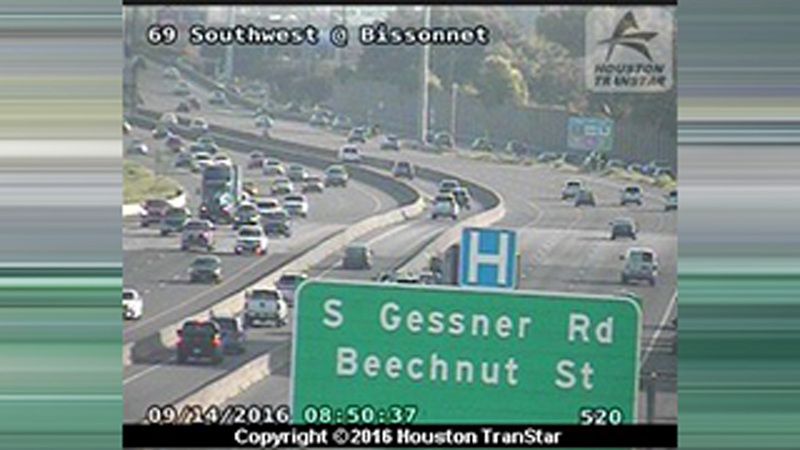 HOUSTON (KTRK) -- A major accident has the northbound lanes of the Southwest Freeway backed up at Bissonnet. The HOV entrance is now closed at Airport while police conduct their investigation. Katherine Whaley says you can use the Westpark Tollway as an alternate.